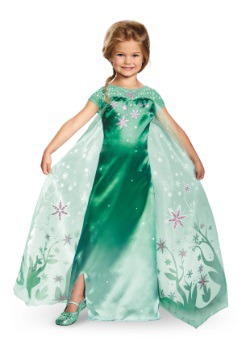 Disney's Frozen has become a huge hit with kids and adults around the world. 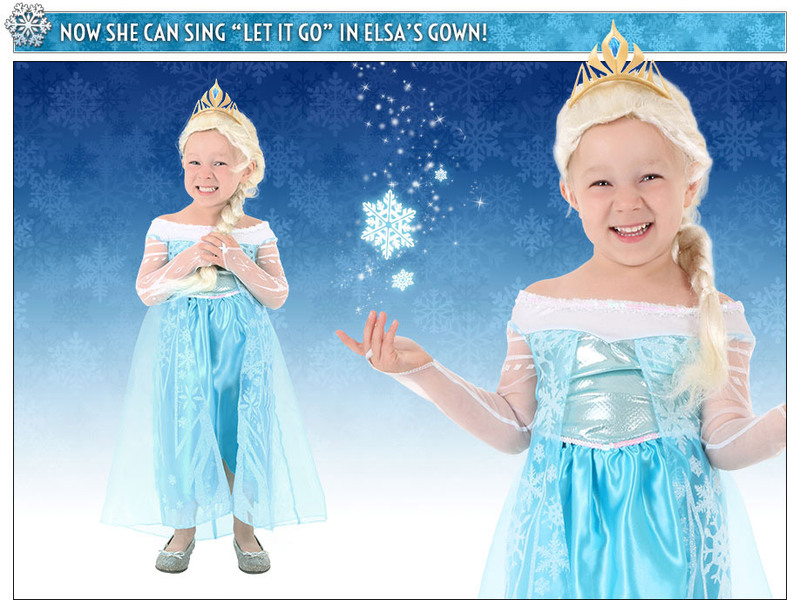 We know how much you love to sing "Let It Go!" 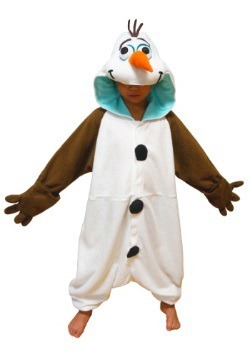 That's why we've made it our mission to offer you Frozen costumes of the whole gang: Anna, Elsa, Olaf, Kristoff, and even Sven! 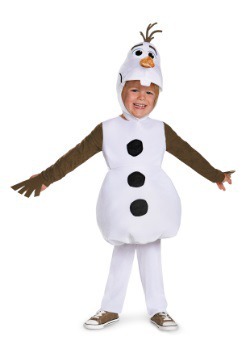 We have sizes for everyone in your family from toddlers all the way to adult plus sizes. 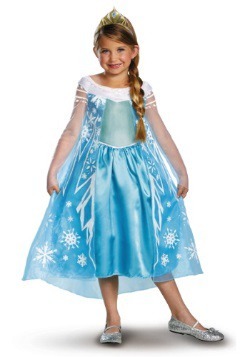 Find the perfect Elsa and Anna costumes here at HalloweenCostumes.com! 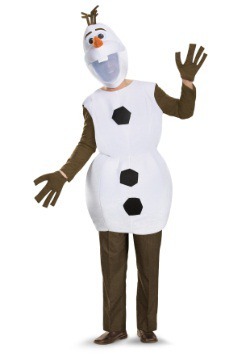 Imagine suddenly finding out that you had the power to create ice and snow! 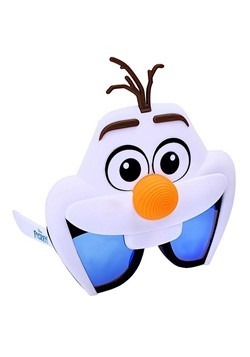 In a blink of an eye, you could turn anyone and anything into a mound of snow or a freezing block of ice. 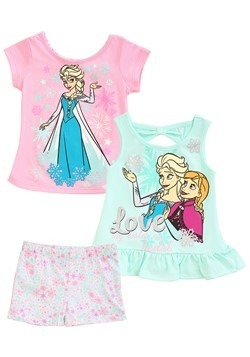 You can imagine Princess Elsa's shock when she accidentally turns her whole kingdom and her sister's heart completely frozen with her magic. 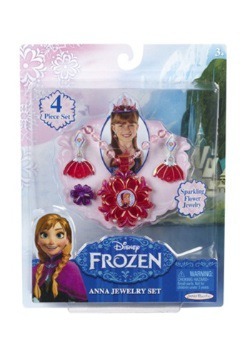 She is very lucky that she has Anna, Kristoff, and Olaf to show her "an act of true love" so Arrendelle could be restored to its natural state, as well as thawing out Anna's heart. 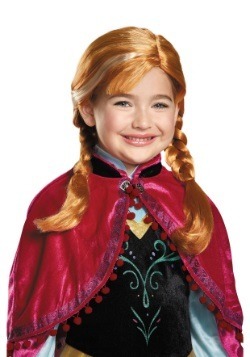 Overall, Frozen is a heartwarming movie that easily entertains the whole family. 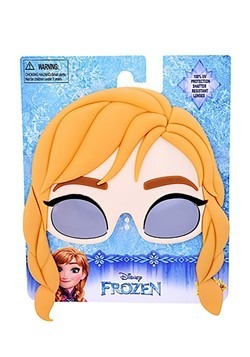 We have a suspicion that you and your family are probably one of the Youtube sensations who are belting out "Let It Go" in the minivan. 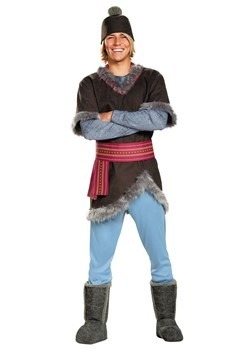 If so, don't you think it would be a good idea to look the part if you sound the part? 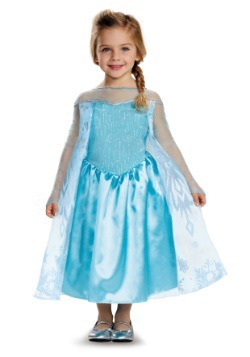 Dress like Elsa and Anna and put on your own Frozen performance for the whole family with the help of our cute costumes. 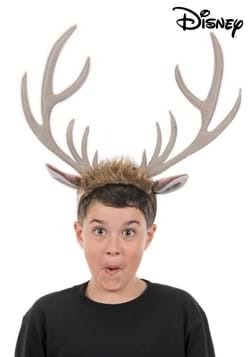 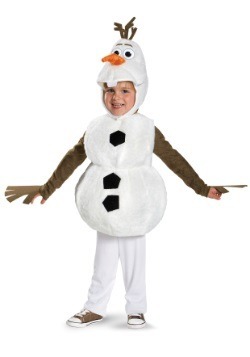 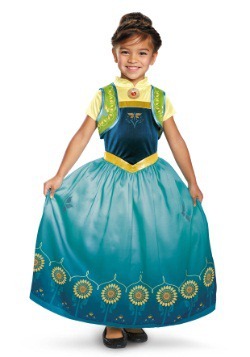 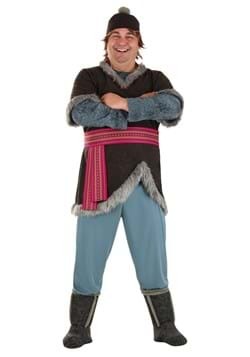 Fans of the Disney movie Frozen come in all ages, so we have costumes for all of the fans! 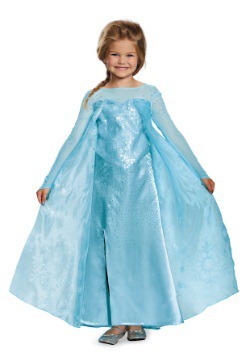 Whether your toddler dreams of wearing Elsa's icy blue gown (or you do!) 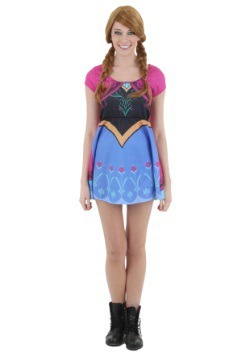 we have the dress to give you both the princess makeover you've been dreaming of. 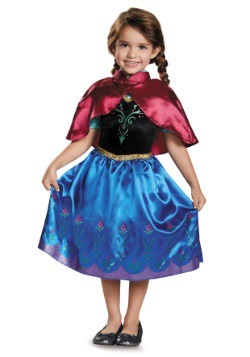 If your little girl is a fan of the funny and independent Anna, she's love our collection of Anna costumes, including her royal coronation gown! 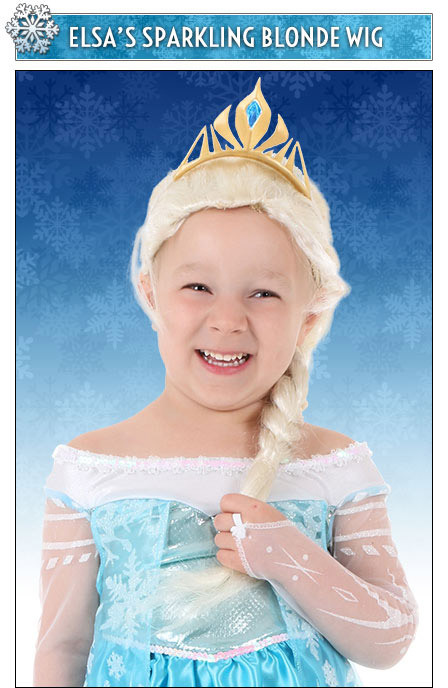 She's memorized all of the words to "Let It Go" and yet your little princess shows no signs of relenting in her obsession with Elsa. 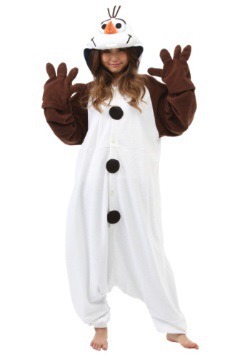 At this point you might as well offer to let her spend her days in full character! 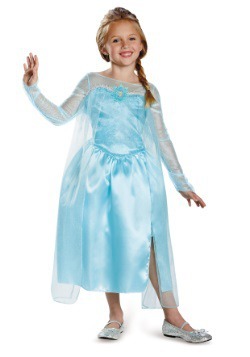 This sparkling blue Elsa dress comes with the tiara so that she can officially be the Queen. 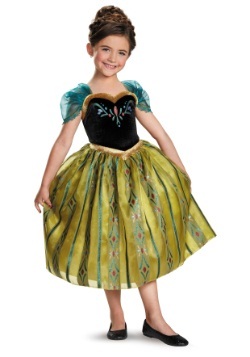 We are sure your little one will be every bit as charming as the movie character herself! 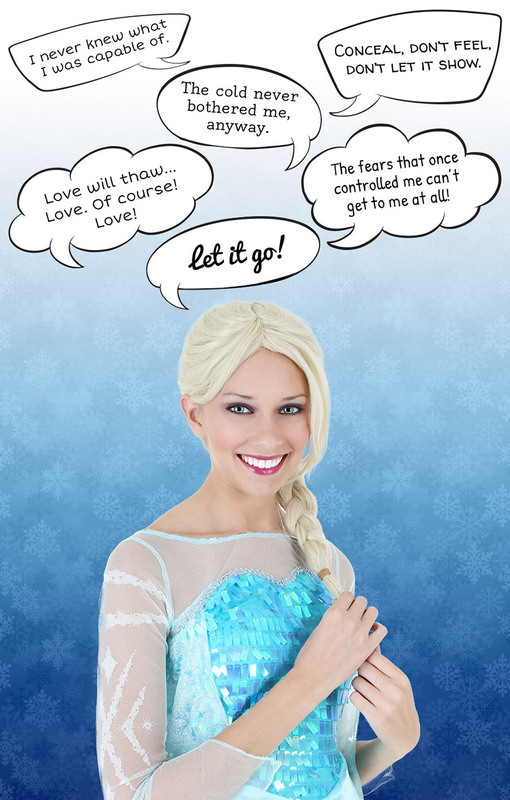 Do you get chills listening to Elsa sing about being free and letting go of her past? 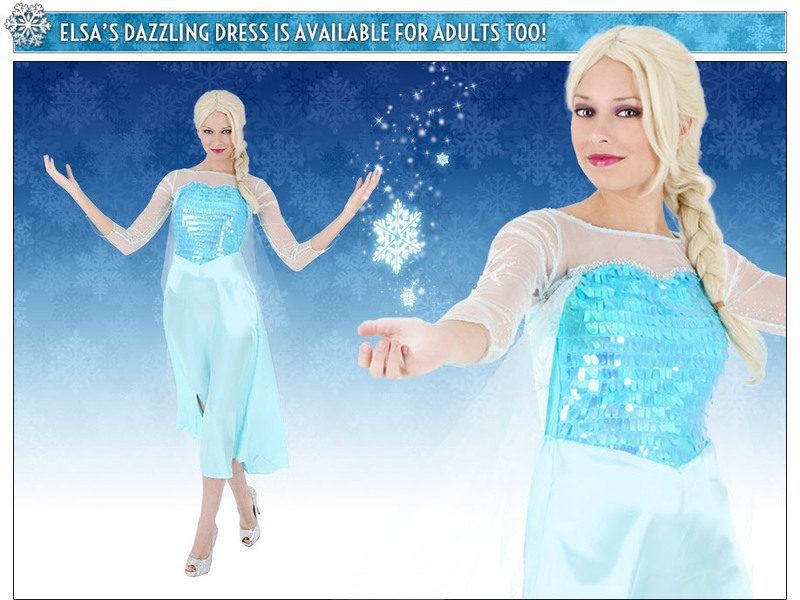 You're definitely not alone, nor are you the first adult fan to wish you could look as magical as Elsa in her ice castle. 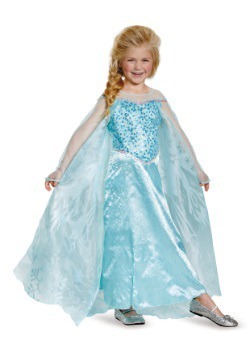 With this sequin and satin Elsa costume, you'll be able to do just that! 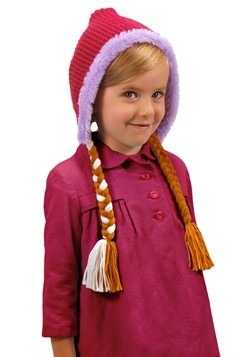 Braid a blonde wig and put on some pink lipstick and you'll have little girls everywhere begging for your autograph! 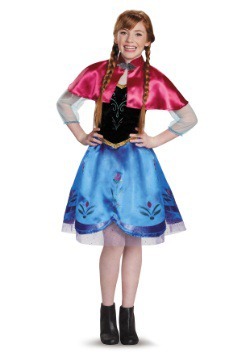 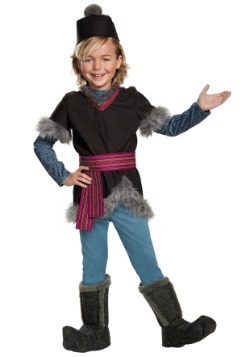 Become the spunky and courageous Anna in this child Anna costume! 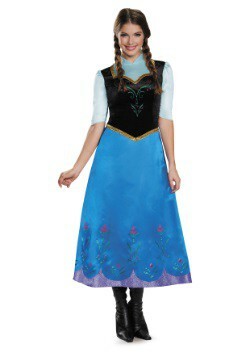 It recreates Anna's everyday look from the movie. 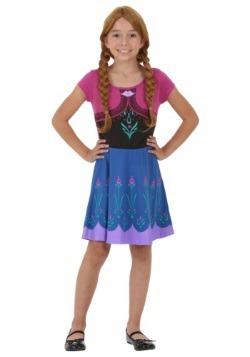 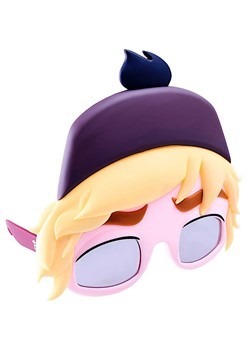 It's perfect for chasing your sister up the north mountain or hanging out with Sven and Kristoff. 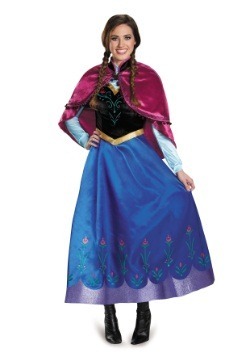 Get ready to attend the coronation ceremony where your sister Elsa becomes queen in this beautiful Anna Coronation Costume. 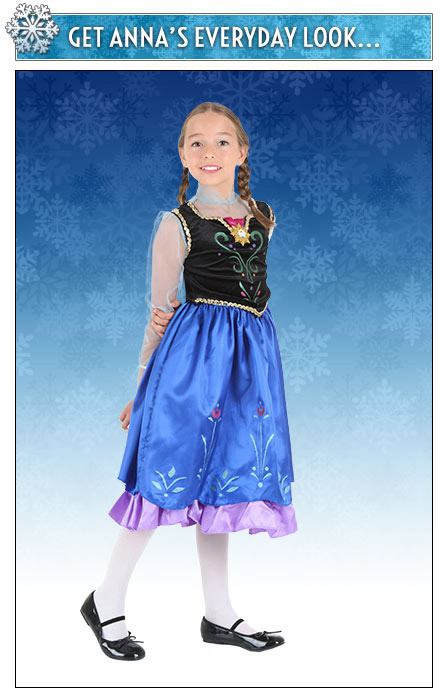 Practice your best curtsy and get ready to entertain all of your foreign visitors! 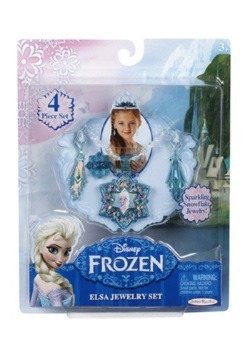 Want to help her look extra dazzling in her Elsa gown? 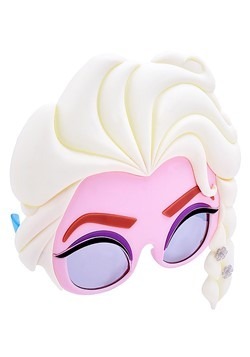 This collection of Elsa accessories will absolutely do that! 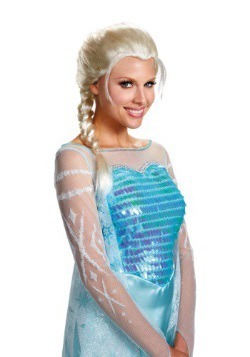 From the blonde wig infused with sparkling strands for an authentic frosty look to the deluxe crown and wand, there are lots of options for making her truly feel like a queen! 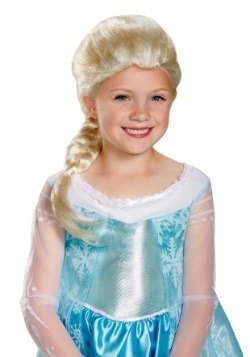 Step one to getting a genuine Elsa look is to wear her signature blonde braid. 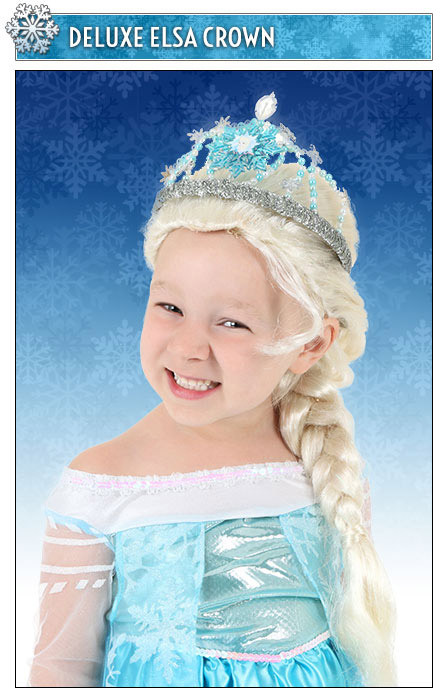 With this officially licensed Elsa wig, your little one can do that without having to sit patiently to get her hair done! 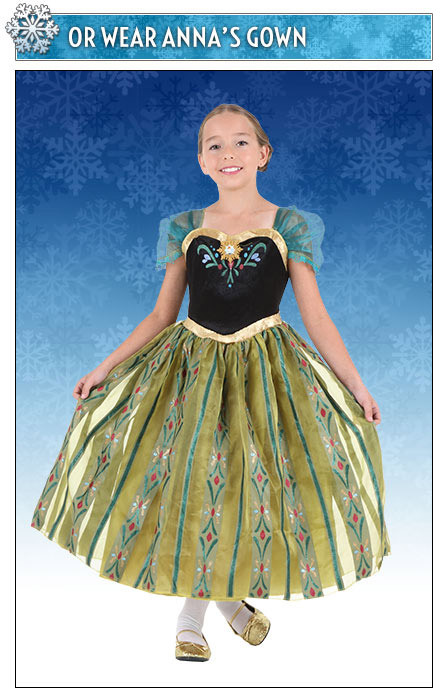 Is the crown included with her gown a little too plain? 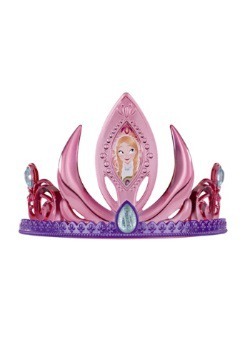 This deluxe Elsa crown is covered in sparkling beads and sequins and even includes an image of Elsa right in the center. 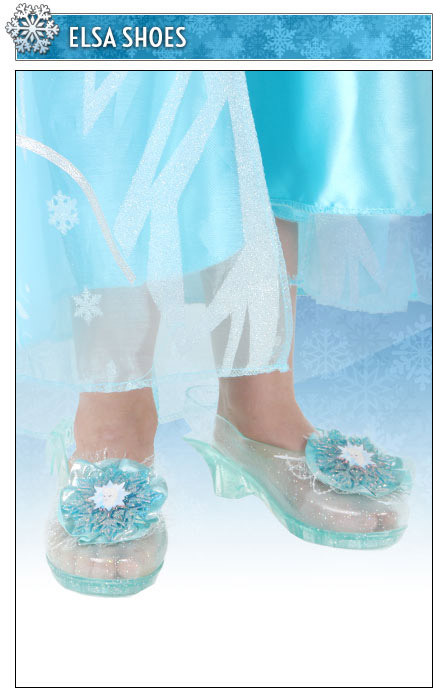 If she truly wants to walk in the footsteps of her favorite character, this pair of Elsa shoes is the way to go. 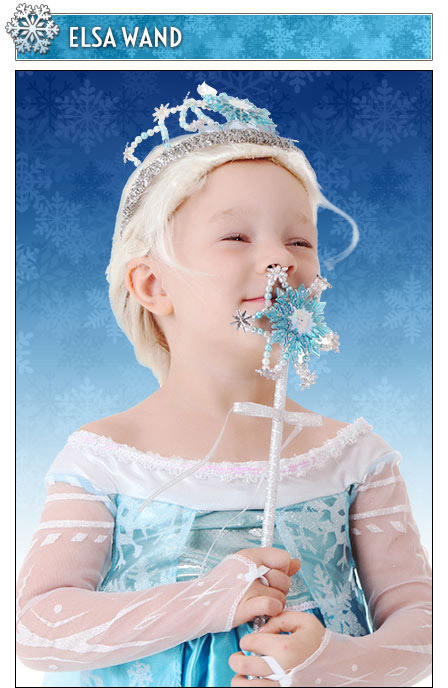 Covered in snowflake designs and infused with glitter, they will make her feel extra special in her costume. 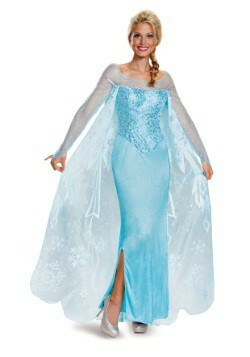 Elsa had magical powers that did not need the aid of a wand, but that doesn't mean she wouldn't have liked to own one! 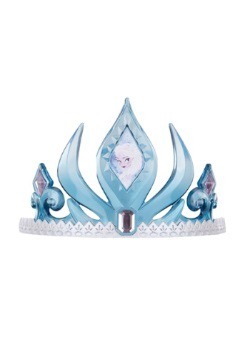 This deluxe Elsa wand will lend a little extra magic to your little girl's dress up time!